These SPECIAL ORDER recessed Mounted 4C Horizontal Mailboxes are U.S.P.S. Approved and manufactured to USPS-STD-4C Specifications. PLEASE NOTE: SPECIAL ORDER 4C MAILBOXES HAVE AN INCREASED COST AND LEAD TIME COMPARED TO POSTAL PRODUCTS UNLIMITED’S NORMAL QUICK-SHIP LINE OF 4C MAILBOXES. These boxes are ideal for apartments, commercial buildings and residential developments, and are required for new construction and major renovations. The indoor-use boxes are constructed of heavy duty aluminum and stainless steel hardware. They feature a durable powder coated finish available in aluminum, antique bronze, gold, sandstone, grey, dark bronze, black, and white. Doors include a heavy duty cam lock with a dust/rain shield and 3 keys. When planning your project, be aware the U.S.P.S. standard 4C requires a minimum of 1 parcel locker for every 10 tenant compartments. Parcel lockers must be a minimum of 15" H to meet the 1:10 ratio. Once this ratio has been met, smaller parcel lockers may also be added. Fully integrated and stand-alone parcel lockers vary by model. Most units include a compartment for outgoing mail collection and is labeled “Outgoing Mail”. 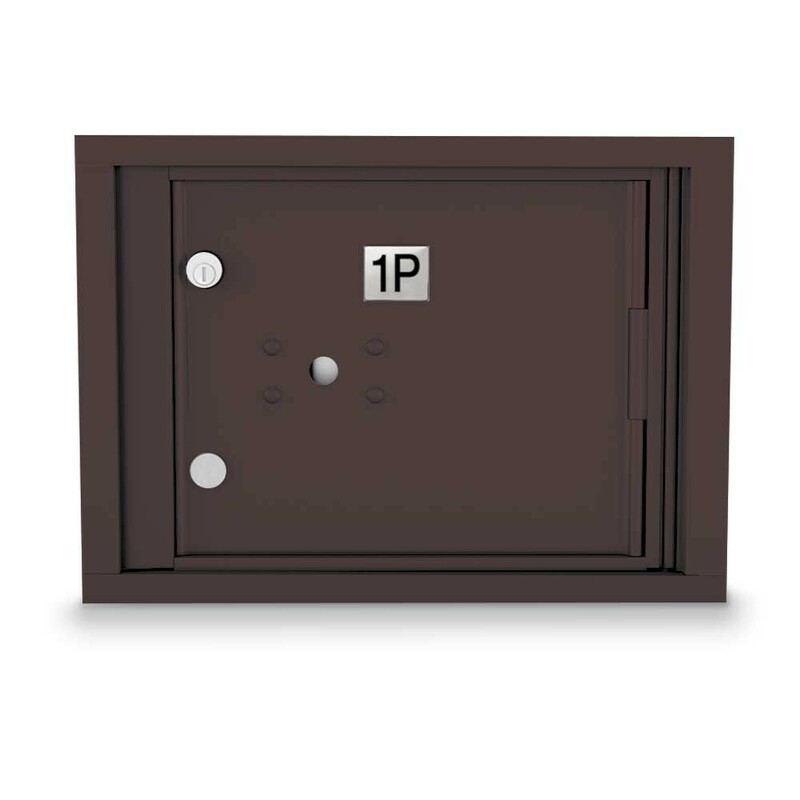 The Outgoing mail compartment / carrier access door includes the U.S.P.S. master lock access door (lock installed by the U.S.P.S.) and cannot be used for mail distribution. This unit measures 17.5"W x 13"”H x 15”D and features 1 Parcel lockers. Parcel Lockers measure 13"H x 12"W. Identical to Salsbury Industries model 3703S-1P.